The Meyer XTS2200+ Tandem Suspension Trailer features a Heavy Duty tubular frame with 24 ton capacity. It is specially designed for the faster road speeds of today's modern ag tractor. 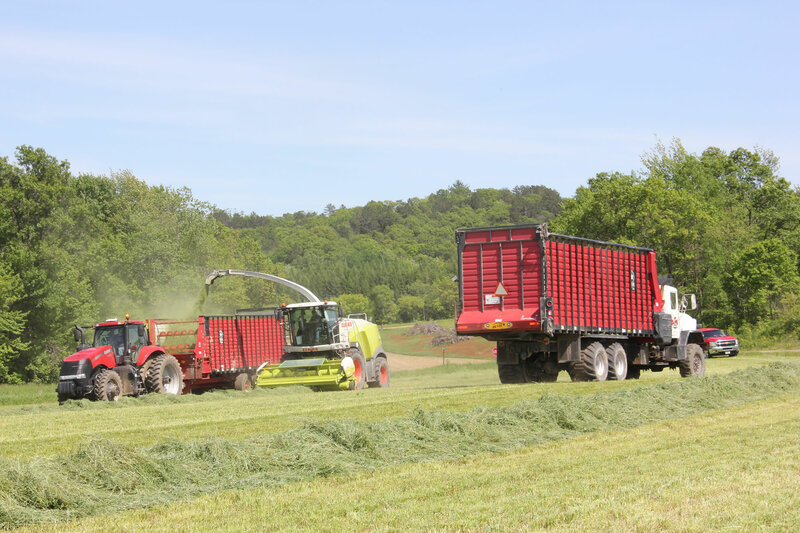 It is also better suited for long hauls from the field to the farm compared to traditional ag trailers. Suspension axles, oil bath hubs and swivel hitch are standard equipment! The new "Plus" Series XTS Tandem suspension trailer received a host of upgrades to the hitch frame, scale mounts and more! Meyer XTS2200+ Series Trailers feature a 4x8 tubular base frame in 3 different lengths to accomodate all your applications. Typically used for forage boxes & feeder boxes from 22 - 26' of load space plus other applications. 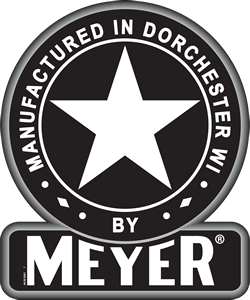 Meyer XTS2200+ trailers feature a stout 6x8" tubular hitch to handle heavy loads! Notice it is reinforced at all critical stress points. Twin 25,000# axles with suspension handle the load. These trailers are a perfect match for today's higher speed tractors. An XTS trailer is also a great choice when your hauls reach out 4 or more miles. All XTS2200+ trailers have Oil Bath Hubs for maximum lubrication and minimum heat build up. The XTS2200+ Suspension Trailers come standard with this swivel clevis hitch assembly. if you prefer, the articulating implement hitch is a no charge option. 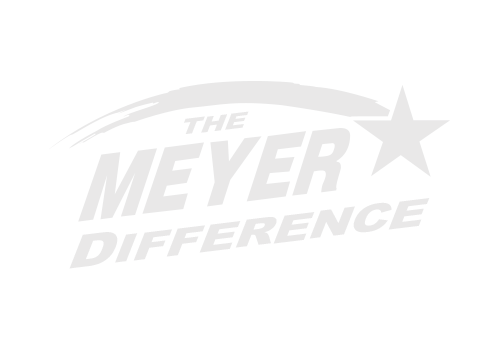 Meyer offers a 8 point scale package for the XTS Suspension trailer. Weigh bar mount between the trailer and the implement in this application.